Daily pollution, traffic, stress and hustle and bustle that we encounter everyday are taking toll on our beauty and it's going to get even more intense because the BER months are here. With our hectic lifestyles, finding time to do the things we love or to pamper ourselves is becoming quite a challenge for most people. 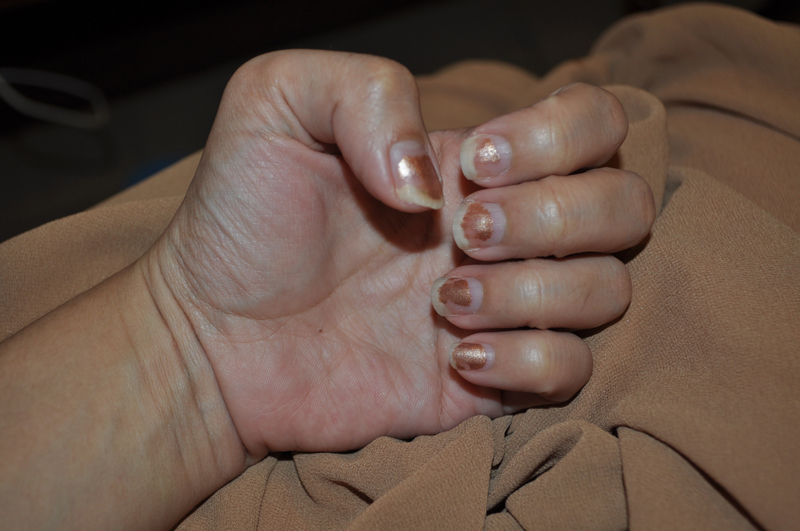 I am guilty of not maintaining my hair and nails as I would like it to be. 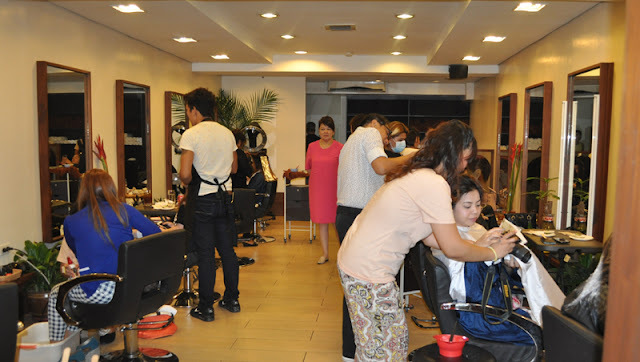 When I get busy ,even a simple task like keeping an appointment to get my nails done, hair trimmed and treated can be tricky. However, I do believe that we all need a quick break before the days get crazier and I am so glad that Martha of Beauty Junkee recommended me to try Cedar Salon. 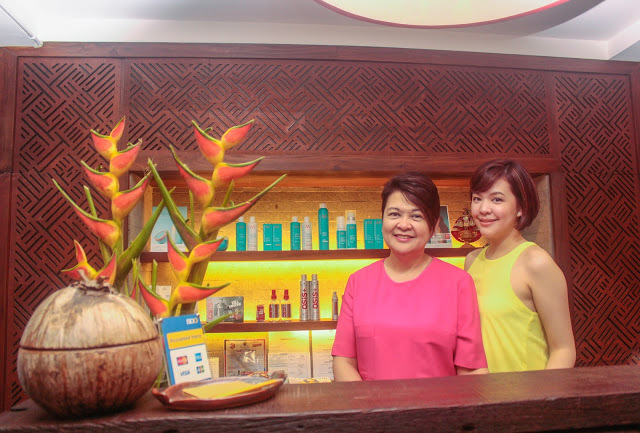 Owner Christine Rodriguez recalls the very reason why she thought of re-conceptualizing the salon experience with Cedar: "I felt like my life was boring, routinely and dull, and the idea hit me to start a unique concept for a salon. "To wit, Christine's hunger for escape reflects the service that Cedar gives its customers: a chance to reinvigorate the senses and get a fresh charge of confidence brought by beautiful hair. 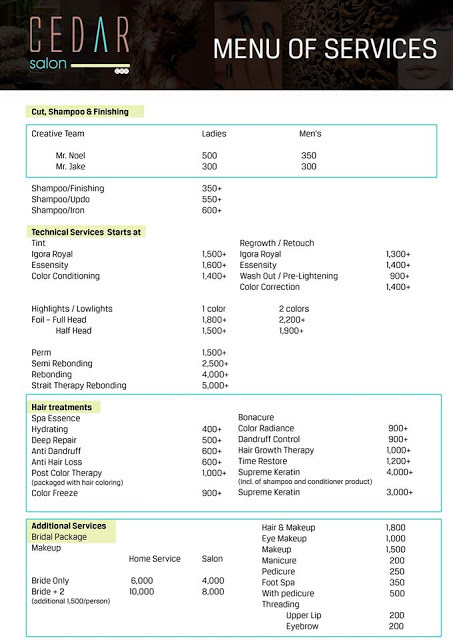 Premium hair services plus complementing beauty treatments complete the whole Cedar experience. The newly opened Cedar Salon in San Juan attempts-and succeeds-to fit the bill. upon entering, I automatically feel that I was transported to a serene world away from the bustle of the city. 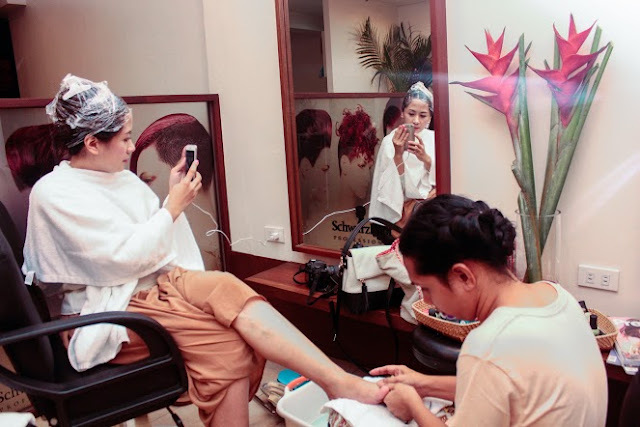 The timing was perfect to have a ME TIME because it was like this moment was given to me as a pre-birthday pampering treat as this happened the day before my birthday. I decided to treat myself to a Manicure and Pedicure as well as a much needed Deep Repair Hair Treatment. I chose a pretty-in-pink nail polish. The nail technician recommended me to combine O.P.I. 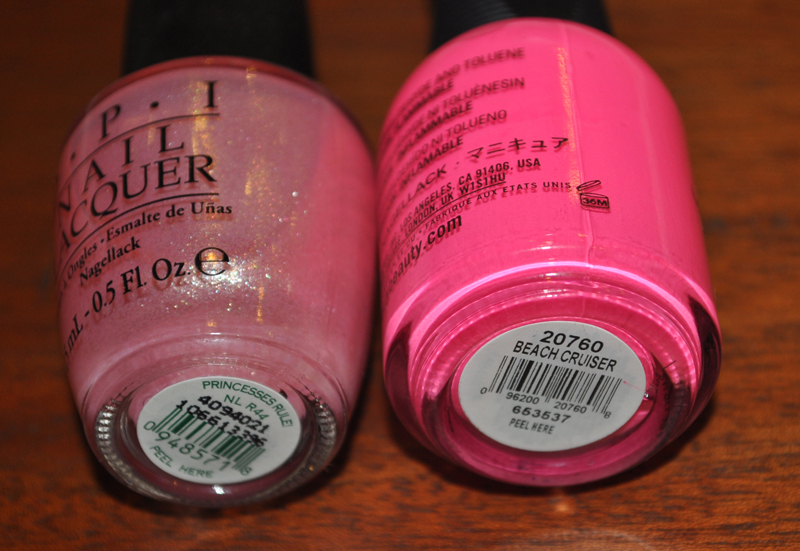 in Princesses Rule and ORLY Beach Cruiser. 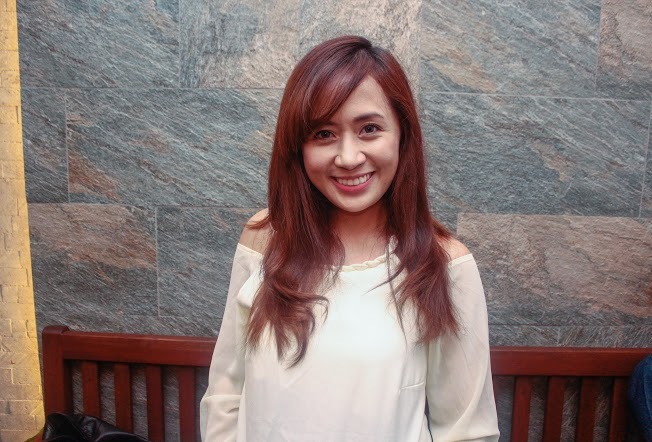 After the treatment, I was happy with the results and this is something I would want to do again at Cedar Salon. It is ideal for people like me with coarse, unmanageable, dull, prone to annoying frizz and have unruly hair. I feel like it really made my hair silky smooth, softer, healthier, much more manageable and disciplined and imparts an anti-humidity and anti-frizz effect. 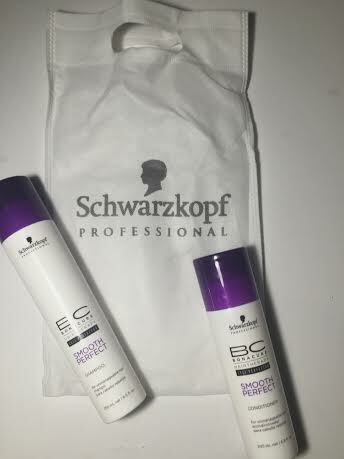 Cedar salon is exclusively using Schwarzkopf Professional, I love their products and you will too! In fact, I am currently using BC BONACURE SMOOTH PERFECT Shampoo and Conditioner, are also available for purchase at Cedar Salon. Book your appointment now and call (02) 726-7960. 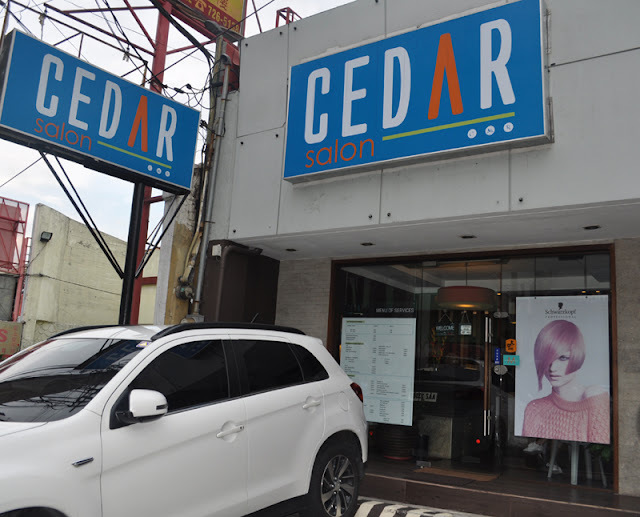 Cedar Salon is located at 200A Wilson St., Brgy. Addition Hills, San Juan (beside Emperor Restaurant).